This post is dedicated to the memory of the nearly 1 million victims of the the Rwandan Genocide which started on April 7, 1994. A month ago I was very lucky to visit Rwanda, the land of a thousand hills, where I took in the marvellous city of Kigali, and watched elephants do their thing in Akagera National Park. There was heightened poignancy of observing International Women’s Day 2018 in the only country in the world boasting a national legislature where more than half of the lawmakers are women. Kigali was also host to the recently concluded Pan-African free trade talks, promising a new dawn of economic prosperity and openness in a world gripped by an escalating trade war between China and the US. But the shiny city that serves as the stopover for gorilla seeking tourists, which New York Times writer Debra Kamin dubbed “the jewel in Rwanda’s bucolic crown”, wasn’t always a place of gender equality, economic liberalism, and great coffee and nice art shops. It was also once the site of a historical human tragedy. At its gruesome apogee, the Rwandan Genocide could easily “compete” with Nazi Germany’s network of infamous death camps in terms of the scale and pace of its ruthlessness. The killing took place over four brutal months. The tools of this dizzying murder machine were machetes and farm equipment belonging in the Iron Age, not the “advanced” holocaust tech of Zyklon-B, the cyanide gas the Nazis used on their victims. To make it worse, victims experienced their last moments looking into the eyes of their murderers only to realize they were their own friends, neighbours, coworkers, and even extended family. The perpetrators had their minds transformed by bandit demagogues peddling racist ethnographic myths — care of the country’s colonial legacy. Sadly, I’m surprised that some young people I speak to these days don’t know what happened. The memory of that shameful smear in history seems to be dimming in our collective consciousness, after only twenty-four years to the day on April 7. Canada’s connection to Rwanda’s tragedy is intimate. Some in my Canadian audience might remember the account of a true Canadian hero, retired Senator Lieutenant-General Roméo Antonius Dallaire, who presided over the UN forces there from 1993 to 1994. 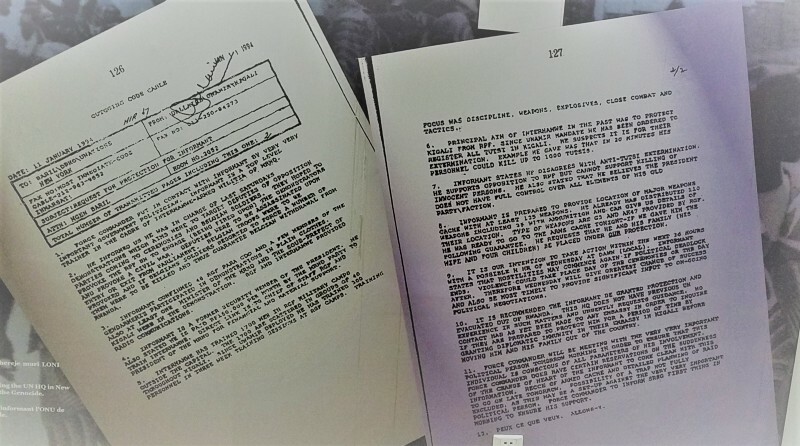 His “Genocide fax”, an obscure document for most of us, marked the first acknowledgement by an international authority of the unfolding disaster. I saw a copy of it in the Campaign Against Genocide Museum in Rwanda’s Parliament. The “Genocide Fax” from in the Campaign Against Genocide Museum, Kigali, Rwanda. The general’s last line in the communique underscores another angle of this tragedy. The French “peux ce que veux” translates to the adage “when there’s a will, there’s a way”, which he caps off with an imperative “allons-y”, or “let’s go”. I could imagine the frustration of a commander pleading to reluctant, bumbling bureaucrats for action. Picture for a moment a group of ragtag thugs murdering no less than eight thousand people a day for four months prehistoric style with clubs and swords. Now imagine you have the ability to stop it in a second with tanks, machine guns, and snipers, but can’t give the order because some people sitting at desks in a UN office thousands of miles away say no. It’s no wonder Dallaire had a hard time with mental health after this harrowing affair. The kernel of wisdom from the Rwandan tragedy is to appreciate the power of paroxysm. I would argue that all of history’s turning points, at least all the ones we read about, are paroxysms: sudden, often violent, outbursts of action driven by pent up human emotion. The paroxysm that ended Rwanda’s horror was the impetuous return of exiled outlaws led by young Paul Kagame, now the country’s president. Fuelled by the rage of watching the world turn a blind eye to the suffering of his fellow citizens, he rallied his small but professional force to push the murderers running amok out of his country, finally inspiring the reluctant international community to help. Of course, not all paroxysms lead to good places. Berlin’s Reichstag fire of February 1933, probably the most consequential act of arson in the 20th century, was a result of the channeled emotional rage of young Nazis. Unemployed youth with nowhere else to turn were fodder for Hitler’s hateful ideology that night. The rest, as we know, is a chapter of world history we wish never happened. World War II, the Holocaust, and even the Rwandan genocide might be slowly receding out of our day to day awareness, but the evil energies unleashed in 1933 and 1994 that led to these travesties have hardly vanished. Rwanda is for the Hutus = Europe is for the Europeans? It’s seductive to think that we live in a time of transcendent postmodern metanarratives, but if you scan the news you’d be hard pressed to maintain such a position. If anything, we are living in a time where the paroxysms of the post-depression 1930s are making a powerful comeback, especially among youth. Take for example Europe’s Génération Identitaire (“GI”), a very well organized far right youth group cut from the same political cloth of France’s Marine Le Pen. The group has been very good at rallying the frustration of thousands of disenfranchised, angry European youngsters, mostly of the “white” or “aryan” variety. They have been hoodwinked to believe that immigrants and refugees from countries like Algeria (an old colony of France’s mind you) are stealing their jobs, sapping the public purse via welfare, and stealing their Tinder matches by dating across racial lines. 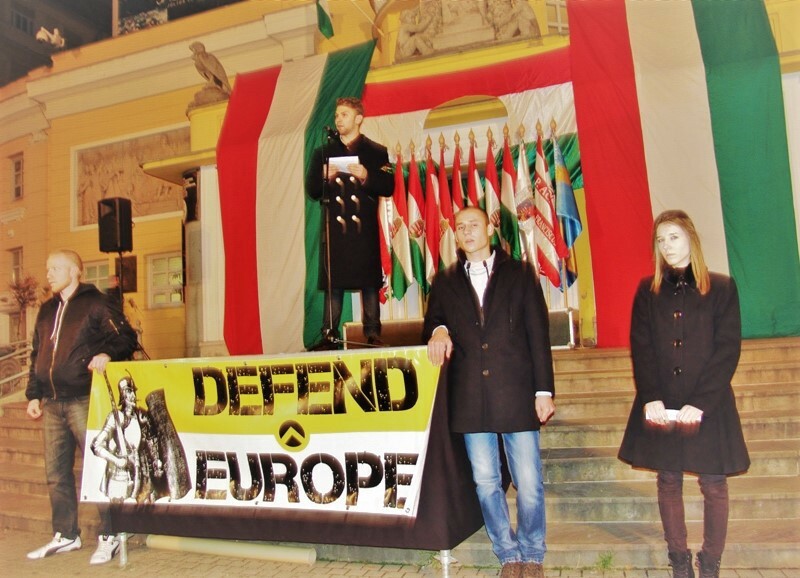 Génération Identitaire’s Hungarian branch. Yes, they probably have a franchise near you. 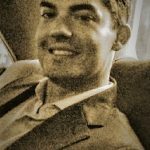 Of course, the unemployment and grim circumstances they are experiencing have more to do with the relentless advance of technology, automation, and the increased polarization between the 1% and everyone else. Not your stereotypical refugee from Algeria who scrapes by in a demeaning job no one wants for a pittance, as the group’s leaders would have their sheep believe. By directing this frustration on the nameless, faceless, immigrant or refugee “they”, GI provides an alternative to summoning the creativity and hard work necessary to tackle the true cause of their problems. GI focuses the hateful energy on the weakest and most vulnerable in society. Thus a paroxysm in the making is born. Génération Identitaire’s ideology is summed up in their slogan which in English is simply “Europe is for Europeans”. The eerie thing here is that if you replace “Europe” and “Europeans” with “Rwanda” and “Hutu”, you get exactly what the machete and club wielding killers were chanting as they stormed the houses of their neighbours in Kigali in 1994. 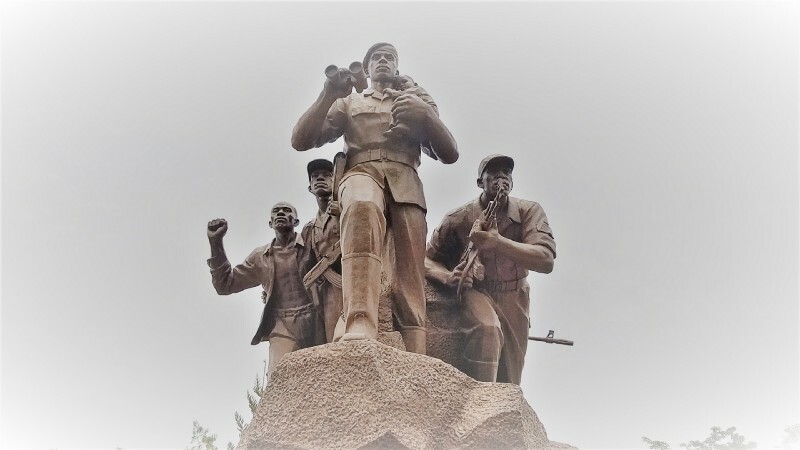 “Rwanda is for the Hutus” was the rallying call that ended one million Rwandan lives. Now mantras like this are taking root in France, the UK, Canada, the US, and other major countries around the globe, emboldened by demagogues who find it expedient to consolidate their power by obfuscating what democratic solidarity and unity means. I hope a paroxysm of the Paul Kagame variety is gathering steam to counter organizations like Génération Identitaire. I am afraid that not acting to resist a resurgence of hate politics in the 21st century would make Berlin’s Reichstag Fire of 1933 look like a marshmallow roast, and would doom us to repeat the tragedy of Rwanda all over again. Let’s never forget General Dallaire’s plea: Peux ce que veux. Allons-y. When there is a will, there is a way. Let’s go.